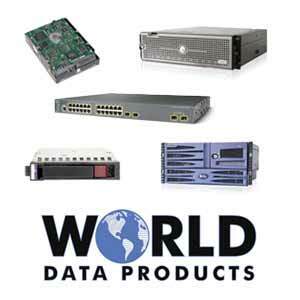 Since 1987, World Data Products has been providing value as a vendor for companies that buy new or refurbished Cisco networking equipment, servers, and computer tape. We are also a leader in IT Asset Disposition (ITAD) services for companies that have decommissioned switches and routers and need to sell used networking hardware. The Cisco WS-X4724-SFP-E is a 24 port switch that can be deployed in a variety of networking applications. All refurbished Cisco items from World Data Products are tested and carry a warranty. Any previously used configurations are erased and products are returned to factory defaults. We also stock parts and offer power supply options. Every Cisco switch will be professionally packaged before shipping. Do you have a surplus or used Cisco WS-X4724-SFP-E to sell? Click Here to get a competitive quote today for used Cisco networking items. Need a third party maintenance plan with next business day replacement? Ask about our Worldtech™ IT Hardware Maintenance program that provides the advanced technical support, NBD parts replacement, and sparing services you need at significant savings compared to Cisco Smart Net Total Care or programs from other original equipment manufacturers.